YamiPOd 是一个可以在Mac windows linux上直接管理ipod的软件.不需要安装其他组件. 可以更新rss新闻 podcast 文本文件歌曲同步 歌曲列表输入输出等支持15种语言 . amiPod is a freeware application to efficiently manage your iPod under Mac OS X, Windows and Linux. It can be run directly from your iPod and needs no installation. It also has extra features such as rss news and podcast support, remove duplicates, easy notes editor (with multipage support), songs synchronization, playlists export and much more. YamiPod is available in 15 languages. 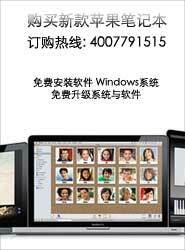 YamiPod 1.6 0 2007-8-6 YamiPOd 是一个可以在Mac windows linux上直接管理ip..
YamiPod 1.4 0 2007-6-16 YamiPOd 是一个可以在Mac windows linux上直接管理ip..
YamiPod 1.3 0 2007-5-21 YamiPOd 是一个可以在Mac windows linux上直接管理ip..
YamiPod 1.0.2 0 2007-1-5 YamiPOd 是一个可以在Mac windows linux上直接管理i..
YamiPod 0.99.5 0 2006-9-3 YamiPOd 是一个可以在Mac windows linux上直接管理..
YamiPod 0.99.4b3 0 2006-8-17 YamiPOd 是一个可以在Mac windows linux上直接管理..
YamiPod 0.99.2 0 2006-5-16 YamiPOd是一个可以在Mac windows linux上直接管理ipo..